1. This LED Light Engine uses 80 LEDs, it is a great size for 4ft led tube, 1x4 LED troffer, 2x4 LED troffer, 1x4 LED panel light. If you want to use it on LED Higy Bay, double LED quantity can achive higher lumens and efficiency. 2. This LED Light Engine have options to use Seoul and LG leds. Both leds can get to 220lm/w before lens and power supply loss. Brand leds have higher lumen ouput, have advantages to take higher current and light decay is very little. Although China has a lot of great led companies, the led techonology seems not to be as good as Korean brands or American brands. China has a company Refine who does OEM for Seoul, Lumileds, and Osram, but for thier own 2835, the highest lumen output range per led is only between 28-32 lumens. 3. If you want to customize LED light strip for other applications, we can definetely do that. 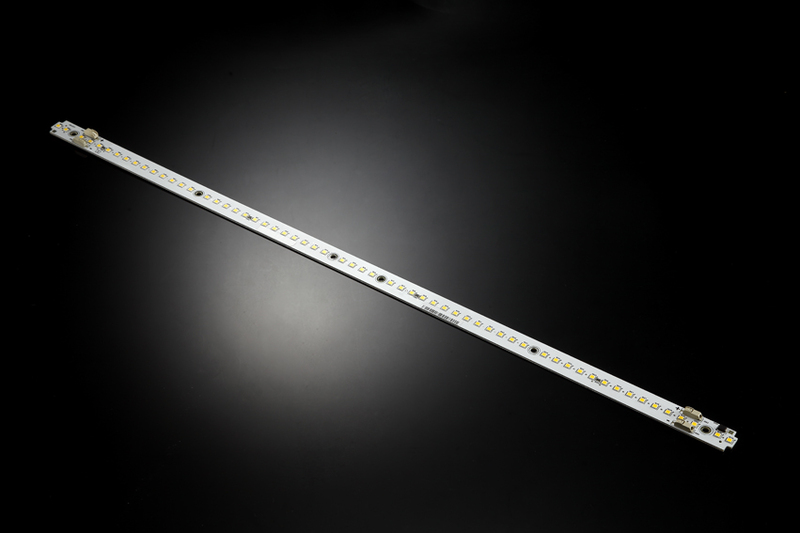 You only need to tell us the size, the voltage, lumen output, efficiency, we can design a constant current LED Light strip for you. You can adjust the current as you want. Of course, if you would like color led strip, we can do that, too. Color light strip is more used as decorational lighting or plant growing lighting.